The Glass Mosaica Checkered Mocca is a striking mosaic tile which makes for the perfect addition to any bathroom or kitchen. 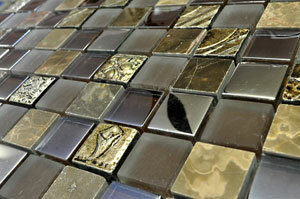 Its design consists of multiple glass mosaics in different shades of mocha in multiple finishes. It is a very attractive tile that will transform any space into a stylish and contemporary one. 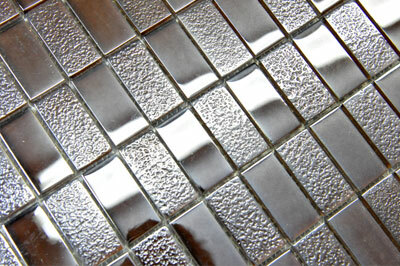 This mosaic tile is available in a standard size of 303x303mm and is sold per piece. . It is ideal for use as a wall tile for creating borders or for use in feature or decorative walls. 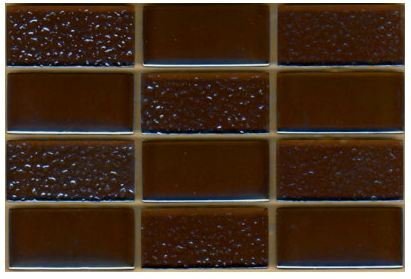 For a mosaic tile, the Glass Mosaica Checkered Mocca tile is surprisingly versatile. Its stunning looks will surely add a touch of luxury and flair to any home. 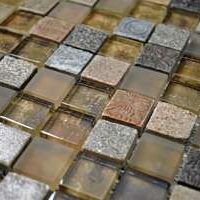 The Glass Mosaica Checkered Mocca tile is a superior grade product which exhibits top notch manufacturing and workmanship. Thanks to its special design, this tile can be installed with minimum grouting and it requires little to no maintenance. For striking mosaic tiles in Perth, you’ll find none better than the Glass Mosaica Checkered Mocca tile. 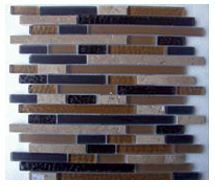 Buy this mosaic tile at an unbelievable price from Ross’s Home Discount Centre’s online store today!